Is your section library looking a bit cluttered? 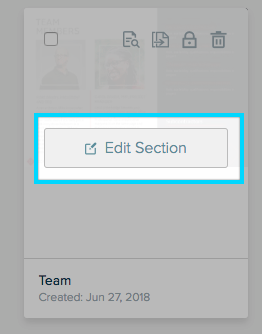 Here's how to sort your sections so you can find what you're looking for when you need it. When adding sections to your proposal, content can often get cluttered in the default folder. Proposify offers a wide range of options to allow you to sort and filter your section library, so you can avoid clutter and make everything easy to find. Once a folder has been added, it will appear at the top of the folder list. From here, you can name your folder to whatever you need. Once named, your folders will be sorted in alphabetical order. You can collapse the folder by clicking on the folder's name as well. Once your section is added to a folder, it will be sorted by most recently used. Click on that trash bin. A pop-up will appear asking you to confirm that you want to delete this folder. If you're positive that you would like that folder gone, click the red "yes, delete" button and it will be gone for good. Once deleted, all sections within the folder will be moved to the default folder. 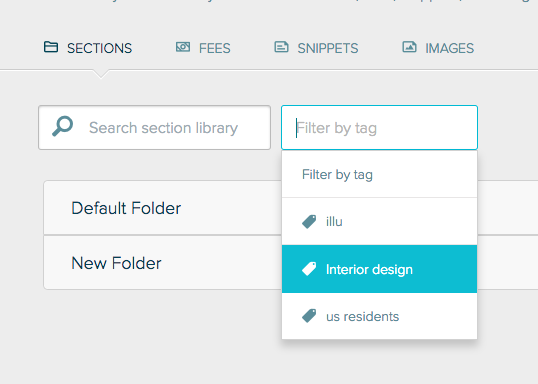 On top of folders, you can also tag sections to filter out your content and narrow down your searches. Click the "add a tag" link and enter the name of the tag you would like to add. Existing tags will automatically appear as a suggestion while typing the field. 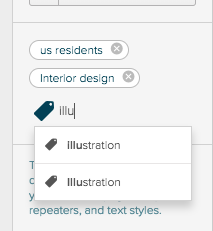 If you're creating a tag, type it in and press enter. From there, the completed tags will appear above the "click to add a tag" link. Once you click on a tag filter, only sections with that tag will appear. If no more sections include this tag, it will automatically be removed from your filter list. Looking to learn more about tagging? Click here.